Mr Polye has lashed out at the ‘media darling Prime Minister’ for the first time criticizing the media, which is the government’s fourth arm. He denied telling lies to the media in his media statements, saying to his ‘fellow highlander Prime Minister that the truth hurts’. Polye, who has been at the upfront debating on many government policies and decisions, said he was cautious of public feedback and with this in mind he always strives to tell ‘our people nothing but the truth and facts about the national issues. He, as a responsible alternative Prime Minister, further said it was his duty to educate Papua New Guineans to prepare themselves well for the general elections in 2017. Mr Polye has taken Mr O’Neill to task over the land in Port Moresby’s Boroko area to clear his name, saying his involvement amounts to ‘abuse of office for personal gain’. He reiterated that the PM was alleged to have been pestering the PNG Power Limited board to sell it cheaply without the proper tendering and procurement processes. 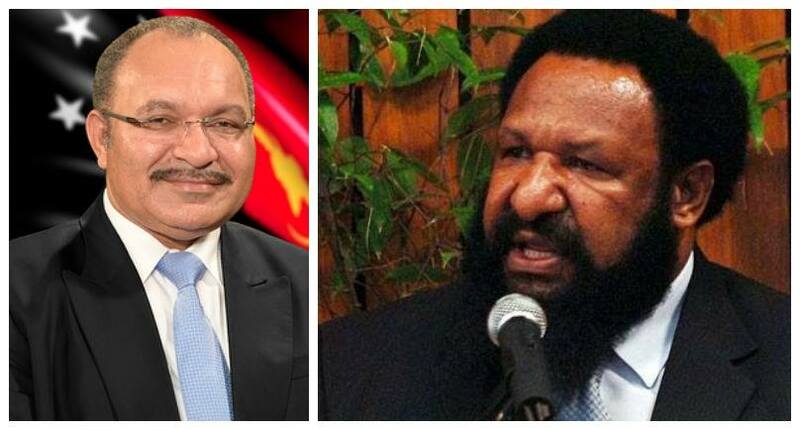 Rubbishing all claims by Mr O’Neill that the Opposition is a lair, Mr Polye has slammed the Prime Minister Peter O’Neill for himself being ‘the master of all serial lies and deflecting constructive debates by diverting the people’s attention to the credibility of the Opposition. “Our learned Prime Minister is good at this and it is of no surprise to us in the Opposition. “He always belittles issues of national importance under the carpet with personal attacks at many forums including the floor of Parliament,” said Polye. He said ‘the political controversy between Don Polye and Peter O’Neill’ was smaller than the country’s welfare and interests, and that national issues should be debated constructively. He said he doubted whether the Prime Minister was genuine when he called for constructive debates as the writing was on the wall that the PM sabotaged ‘the Opposition’s budget debate. He has urged the Prime Minister not to contradict himself. “Our people, media, investors, donors and other development partners are the Opposition’s best judges. “I don’t make remarks which are below my belt against the Prime Minister nor any other MPs in government but I encourage constructive debates. “With the guide of our Opposition’s alternative government policy Skill-Industry Growth strategy, I on record put to the Prime Minister and his government constructive debates on the defiance of rule of law and other laws (law and order) by those in power, erosion of parliamentary democracy, good governance, transparency and accountability, economic management, police brutality, corruption issues and infrastructure developments among other socio-economic issues,” said a confident Mr Polye. He said he was so vocal on other issues like the climate change, healthcare and education.